This was a request by the boys. They were hooked on Phineas and Ferb during the holidays, they will even record it down if we are going out, so they do not have to miss it. I've no idea what's so attractive about the cartoon, as I did not watch it with them, but I must say the theme song is kind of catchy, it keeps ringing in my head now as I type this. lol. 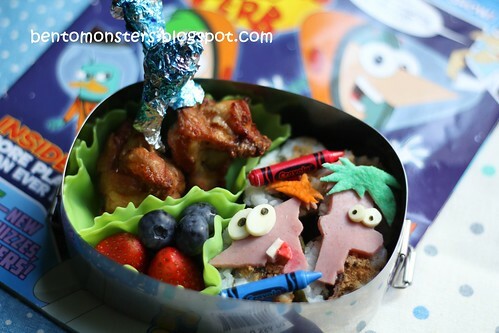 LT's bento, in the box are fish floss sushi, drumlets, strawberries and blueberries. 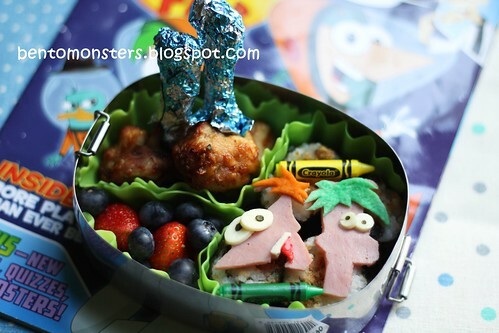 LT asked for Ferb and IT wanted Phineas, but since the box seems quite empty with one, I did both for them. 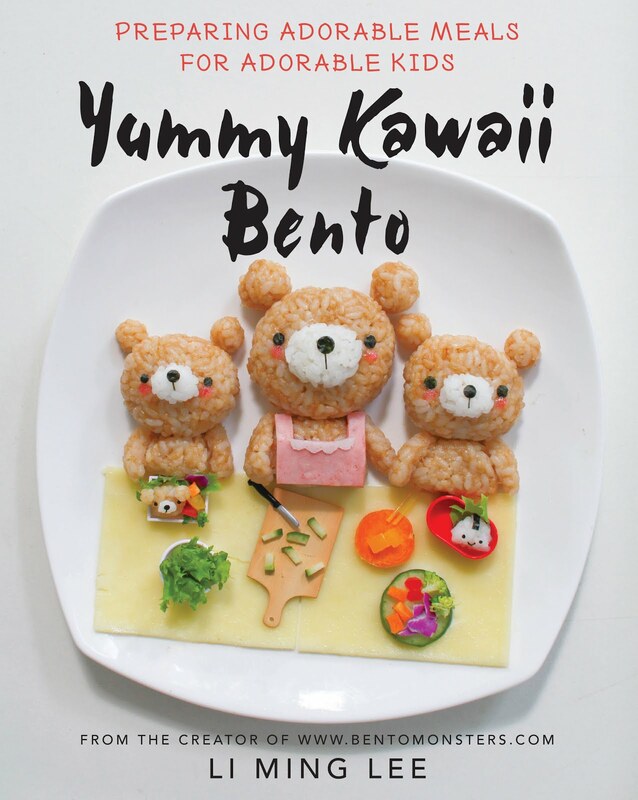 IT's bento, same food as above. 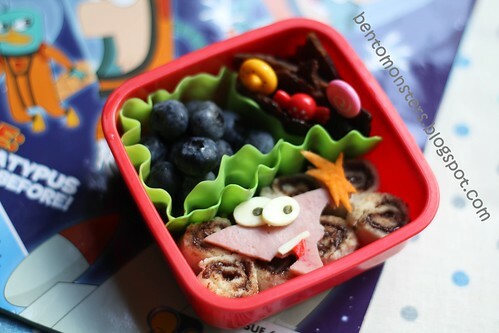 IT's bento for School, in the box are nutella rolls, pork jerky(bak kwa) and blueberries. 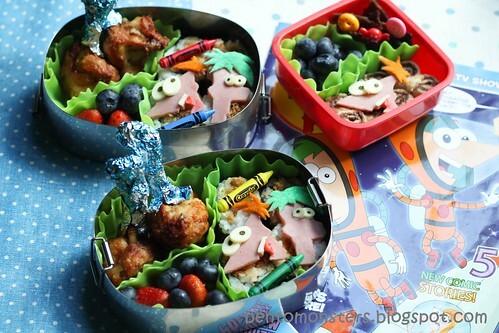 I don't know this cartoon, but they surely cheer up a bento! I need to get some of that "grass" for separating the food. It really brightens up your lunches! 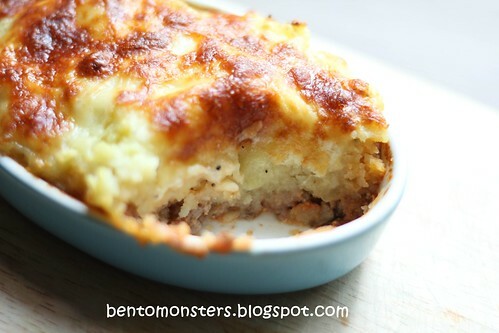 I'm using ham for their faces, cheese for their face n flattened bread for hair. The colored bits are done by spraying on Wilton colour mist. Drumlettes are the front portion / joint of chicken wings.